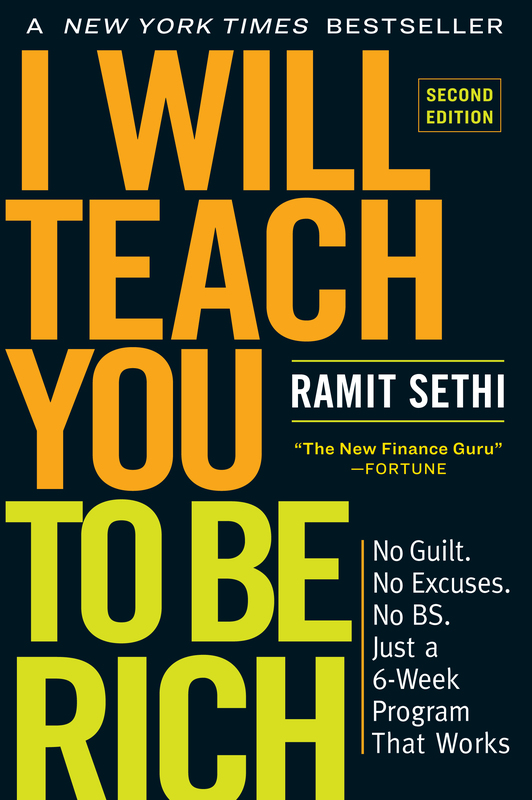 Ramit’s no-BS, plain-english take on how stocks work, buying bonds, and the best way to invest in stocks and bonds for a Rich Life. Investing is the single most crucial thing you can do to ensure your financial future — and the sooner you start, the easier it is to get rich. It’s a 24-hour Wolf-of-Wall-Street—style party where traders make millions of dollars daily while screaming “SELL! SELL! !” into a phone. Investments are incredibly risky because all the pundits scream “financial crisis!” at even the slightest dips in the markets. And, frankly, you have every reason to believe this. …and many of us just don’t understand exactly how investing works. This article isn’t going to be about which stocks are hot right now or what sort of investment strategy is going to make you into a zillionaire today. If you’re looking for something like that, I suggest you go back to watching the pundits on cable news. SPOILER ALERT: Cramer has done much worse than the S&P 500 since 2008. Instead, I’m going to give you a no-BS lesson on what stocks and bonds are and what function they can serve in your investment future. When you own a company’s stock, you own part of that company. Stocks are also called equity for that reason — you own a tiny piece of the company. If the company does well, your stock will do well. You can buy and sell whenever you want through your broker or self-serve sites like E*Trade or TD Ameritrade. First thing’s first: SLOW DOWN. Before you make an investment in any sort of stock, you’re going to want to stop and make sure you understand how to go about making a decision of what stock to buy. The simplest way to narrow down the universe of stock options is to think of companies you like and use. Take some time right now to write down 15 companies you use and return to time after time. Instead of 5,000 stock options to choose from, you now have 15 companies you could possibly invest in. Remember: A good company isn’t necessarily a good stock! Trends: Are sales increasing from this time last year? 2 years ago? 5 years ago? Products: Is the future bright in terms of upcoming product development? What news have you heard about their future products? Revenues/profits/growth/earnings per share: The real financial nuts and bolts of a stock. These are intimidating at first. Luckily, many sites will guide you through it. Insider trading: Are senior executives at the company buying more stocks (indicating they have confidence in the company) or selling? Management: Is management good? What is the turnover? What is their philosophy and ability to execute? You can get all of this information online for free — and you’d be wise to do as much research as you possibly can. If you see a reason to doubt a company based on any of the areas above, avoid that stock. Advantages: You can really make some money if your stock is good. If your stock is excellent, you can really beat the market. You can pick the stock in an industry you understand. Also, your money is liquid, which means you can access it at any time by selling your stock. Disadvantages: Unfortunately, if a company does poorly, so does your stock. Because a stock isn’t diversified, that can mean disaster for you (although you can easily reduce your risk by picking bigger, solid companies). Also, most people think that investing is “picking stocks” but most wealthy people don’t do that — and I’ll show you what they DO do later in this post (more about investor psychology). Bonds are like IOUs that you get from banks. You are lending them money in exchange for a fixed amount of interest. With these qualities, what kind of person would invest in bonds? Well, anyone who wants to know exactly how much they’re getting next month should invest in bonds. It doesn’t matter if you’re in your twenties or if you’re in your seventies. If you want a stable investment — despite the lower returns — then bonds are for you. After all, some people just don’t want the kind of volatility the stock market offers. And that’s fine. You know exactly how much you’ll get when you invest in a bond. You can choose the amount you want a bond for (1 year, 2 years, 5 years, etc). Longer time periods can yield you higher return rates. Bonds are extremely stable, especially government bonds. The only way you’d lose money on a government bond is if the government defaulted on its loans — and it doesn’t do that. It just prints more money. Because they’re so stable, the reward on an excellent bond is dramatically less than an excellent stock. Investing in a bond also renders your money illiquid, meaning it’s locked away and inaccessible for a period of time unless you’re willing to incur a big penalty to take it out early. Unlike stocks, bonds are hard to buy and sell as an individual. When it comes to what you want to invest in, I think both stocks and bonds are solid investments — as long as you do your research. When it comes to what I think EVERYBODY should be doing when it comes to their investments, it’s simple: low-cost, diversified index funds. If you are just starting out, it’s so awesome that you’re here. For financial security, it’s more important than anything else to start early. And don’t worry if you think you’re a little late to the game. After all, the best time to plant a tree was 20 years ago…the second best time is NOW. Man, I’m starting to sound like a fortune cookie. Anyway, my team has worked hard on something I think will help ease you into the world of investing: The Ultimate Guide to Personal Finance. Master your 401k: Take advantage of free money offered to you by your company…and get rich while doing it. Bonus: Want more advice on how to improve your finances? Sign up today and get your free copy of The Ultimate Guide to Personal Finance. Quick question about bonds– my mother is in her late 50s and has almost nothing saved for retirement. Believe me, I know how depressing that sounds. Is it worth her while to buy some bonds, or is it pretty much not going to do any good this late in the game? Please note that we’re not exactly talking about thousands of dollars here. Bonds usually have 5-7% return, more return the riskier the bond is. I’d suggest you get a CD or the best is to put the money in the online savings account. HSBC gives 5.05% on savings and your mom can use any HSBC ATM to withdraw money anytime. You didn’t mention that the rich invest in government bonds because the returns are tax free. That is a significant advantage when you are in the highest tax bracket. Another great on-line savings account is emigrantdirect.com. It’s paying 5.15%. Government bonds are NOT for the most part tax free, not from the Feds they’re not (from state tax they are, mostly)….Municipal bonds are free from federal income tax…. I’m a middleaged man who is full of admiration for the quality of the advise on your site. Which one would be the most appropriate, for a younger like myself at the age of 20, either stocks, bonds or CDs. I know why stocks fluctuate in prices, but who has the authority to set the price? I’m playing a free version of the Stock Market Game on my school computers. We’re not doing so well because we failed to find descent stocks. Are there any stocks that you personally love or enjoy using every now and then? If so, please share the ticker symbol with us. How long do you think I would sell my stock if ever I bought some…By the way, I am studying this very interesting field of earning money…I m in my mid-30s Id like to invest..though, I dont have that big money…Do u think is it possible even I dont have the big bucks to invest in Stocks? Hi. I am a college student and i am doing a project that consists of investing 1,000,000 dollars for a company over 5 years. What do you think i should lean towards, stocks or bonds? How much money do u need to get started? Your advice/statements/comments show your lack of experience. I’ll have to disagree about your reasoning on bonds for those in their 20’s. Assuming that most will be saving to buy a house in their 30’s, you would want a stable source of income (so you can withdraw it anytime) for the downpayment on the house, which will probably consume the savings of most (except your friends who make six-figures). Hi- My husband and I are looking to invest some money into stocks and we are extremely new to this, so I was wondering what the minimum stock purchase would be. A minimum of £100 would be a start. What ever happened to using bonds as a smart way for diversification??? I believe it was John Bogle who said that you should invest x percent of your assets in bonds, where x is your current age. Are you contradicting Mr Bogle? I am in my early 30’s and want to invest for a retirement. However, I am not exactly sure where to begin or what to invest in. I don’t have a lot of money at all and basically live paycheck to paycheck. I am raising 2 kids, so I want to start out with something kind of small and then gradually put more and more in. Do you have any suggestions? I would greatly appreciate any help. I know nothing about stocks or bonds. Just thought of them at 44! I have 40K waiting to multiply. Any suggestions? Thank you for the blog…. I take stock services from Multi Management and Future Solutions and I really had a good experience their services are good . Before starting stock trading I First took the three days free trial because I don’t want to be in risk and that really helped me. It is very informative article about stocks and bonds. I liked your post very much. All the benefits are great for us. I am pleased to get Tradebulls excellent information. Keep share helpful information with us. Thanks you so much. Hello, I have been researching and dabbling in stocks for a few years now. I have tried several ways and learned a lot. I was in my early 40s before deciding to look into this new venture towards making money. It took a few years but I have found my first niche in penny stocks. I actually got lucky and found a guy who specializes in low end penny stocks. I was checking posters out on Investorshub when I found the page “triple zero and sub-penny chart plays. You can always tell when he is excited about a stock because he posts on it multiple times over and over. I started with only a couple hundred dollars and have made a couple thousand. This is over a period of less then a year. I am hoping that I can make enough to eventually start shorting penny stocks, where the real money is at. You will never make this much money with big stocks where you have a better chance of losing money then making any. Leave that to the rich people. Only they can make anything from big ones. I generally buy a stock at .0001 and wait for it to climb. I always set an order to sell where I think it will stop and take the cash and pay bills I need to or for a trip. Mostly I want to reroll it in stocks. Using this page and my strategy I am on my way to financial freedom, I hope. Also remember penny stocks are pretty much all scams so NEVER hold them. Take your quick cash and run. This is why I said shorting is where the big money is at, you can count on them to drop in price quickly after a run. If you have $25,000 or more you can short on most broker sites, there is one that does it for less but is not as reliable. Do your research before committing to any program. I also recommend practicing trading on paper or a site that allows it. Make sure you have a clue as to what you are doing and will make money instead of just throwing it away. Good Luck. Thank you for this post, Ramit. I've always wanted to get started in stocks n' bonds but had no freaking clue how and the majority of the information out there is either for advanced learning or downright wrong. Another key thing to consider when thinking about investing in stocks or bonds is that when you spend a ton of time researching and investing in individual stocks or bonds you are losing time you could have spent developing your career or a side business. Is the time you spend researching stocks best spent that way? That will only be so if you can consistently outperform index funds. A tall order. If you are just matching (or doing worse than) the indexes, you would be much better off spending less time on research and getting out there and focusing on your career and developing skills to enhance your earning potential. Yes, investing is super important, but learning to successfully evaluate, buy, and then sell at the right time individual securities is an insanely rare skill.